The following is a partial list of the paralegal schools and/or programs offered in Arizona. The APA does not promote or recommend any of the schools listed below, but provides them as a courtesy and for your convenience. Degrees Offered: Associate in Applied Science, Certificate of completion for students with a college degree from an accredited institution. Minimum length of time to complete the program is three emesters for Certificate; four to five semesters for AAS, depending on course selection. 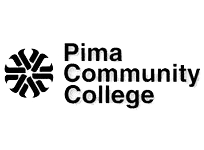 Description: Pima Community College is a public, two-year institution. Pima College's ABA-approved Paralegal Program offers an AAS Degree and a Post-Degree Certificate in Paralegal studies. We offer a solid foundation of core courses, several specialty electives, and an Internship opportunity. Our instructors are experts in their practice areas and are skilled teachers. Join us for an exciting new career, brush up on old skills, or explore a completely new area of law. Day and evening classes. The Paralegal Studies program is designed to prepare students for positions as paralegals in the legal and business fields. Individuals who are already employed in the legal field and seeking advancement opportunities may also select this program of study. Paralegals work under the supervision of an attorney and their work includes preparing legal documents, researching and compiling information, and communicating with clients. Excellent written and oral communication skills, as well as computer literacy skills, are important to the paralegal. Note: This degree is primarily designed to prepare students for direct employment. Students who are preparing to transfer to a baccalaureate degree-granting institution for an advanced degree in paralegal studies should contact an academic advisor for assistance in establishing an educational plan. *ABA Approved: Paralegal programs that have been approved by the American Bar Association. Please note that the ABA does not currently evaluate online schools. To learn more about the American Bar Association, visit www.americanbar.org.